Want to enjoy views of the Sound while eating breakfast? Or spend your afternoons crabbing & fishing? How about yoga at sunset? 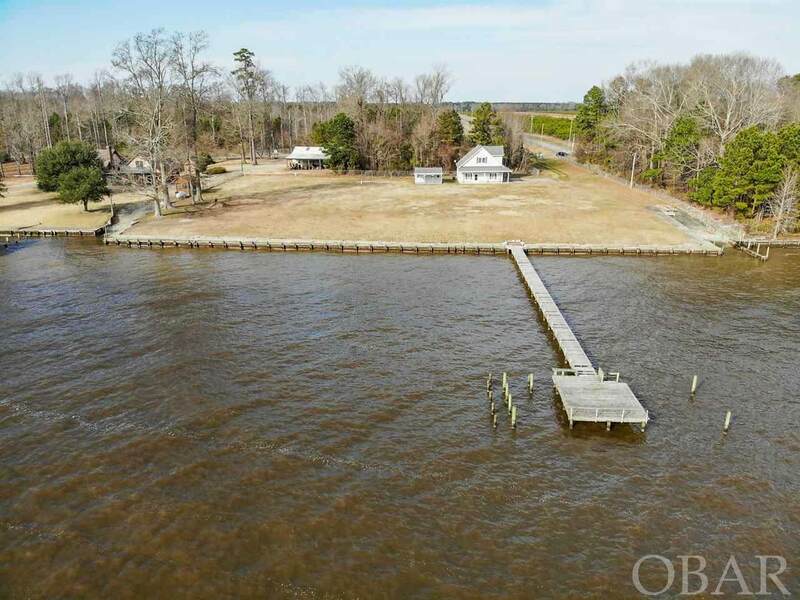 Do that & more at this adorable waterfront home with 300' bulkhead & private boat ramp. 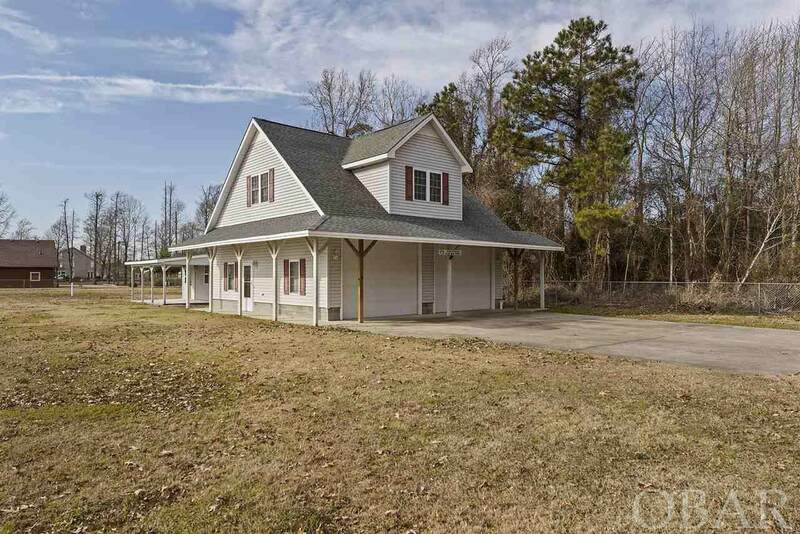 Upstairs is kitchen, full, bath, LR, dining area, and master bedroom. 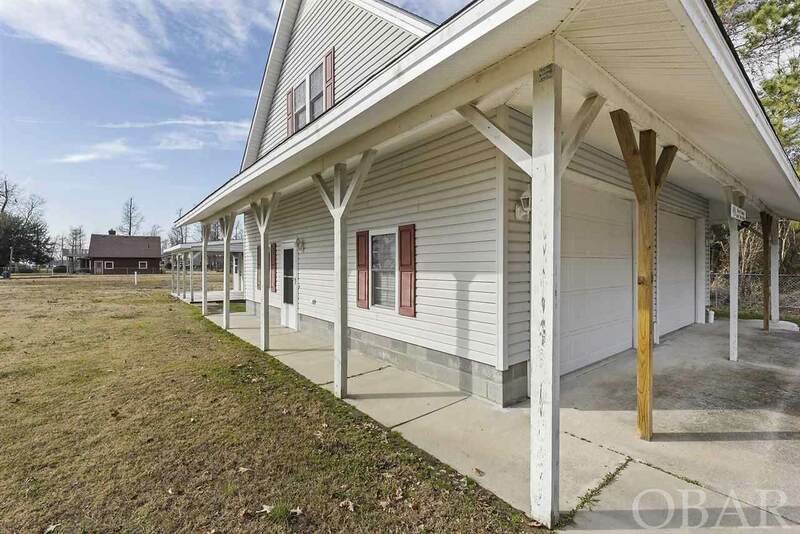 Downstairs is laundry room & large 2 car garage (32 x 32) with 1/2 bath. Roll up the garage doors and take advantage of all that space for parties, BBQs, etc or just hangout down there and watch T.V., there's T.V. hookups already there! Plumbing & electric are in place to easily convert garage into 2 more bedrooms. One-owner, solidly built home (all windows rated to withstand 155 mph winds) with 40 year roof has been meticulously maintained. The utilities are underground and there is 400 amp service. A 50 amp connection/1,000 gallon septic is perfect if you have an RV. There is an additional 1,500 gallon septic tank to service the main house. No flood insurance required. This would make a wonderful home or vacation getaway. Come make memories! Listing courtesy of Sally Sharber of Re/Max Coastal Associates.